With his hat trick at Bournemouth on Saturday, it appears that Mohamed Salah has returned to his top form right on time for Liverpool. The start of the season at Liverpool for Mohamed Salah wasn’t what everybody was expecting, the biggest concern for people was the fact that he could turn out to be a one-season wonder or if he really was one of the world’s best. The FIFA gala kept him amongst the world’s best for last season, he was part of the podium and enjoyed every single minute of it. But this new season began with many bumps on the road that made us believe he wasn’t really all there, the shoulder injury was a big part of that rocky start and everybody started to wonder if we would see the best Mohamed Salah again playing for the Reds. It took him only one match to let everybody know that he really is one of the most exciting new finds in world football, as the hat-trick puts him right up there next to Pierre-Emerick Aubameyang with 10 goals and also helped Liverpool get that top spot position after Manchester City fell defeated at Stamford Bridge against Chelsea. Granted, Maurizio Sarri’s side helped the Reds get the lead but none of that would’ve been possible without Mo Salah’s contribution. From the very start of the match at Bournemouth, we could see signs of the very best Egyptian player’s version that we got last season and he comes in right on time for next week’s Champions League against Napoli. 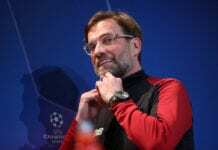 Jürgen Klopp’s side is still uncertain if they will qualify to the next round of the competition after losing at PSG two weeks ago, but having Mohamed Salah back to his best form is really refreshing because they urgently need to score many goals against the Italian side in order to secure themselves that ticket to the next round as they cannot depend on what PSG does in their own match against Red Star from Belgrade. 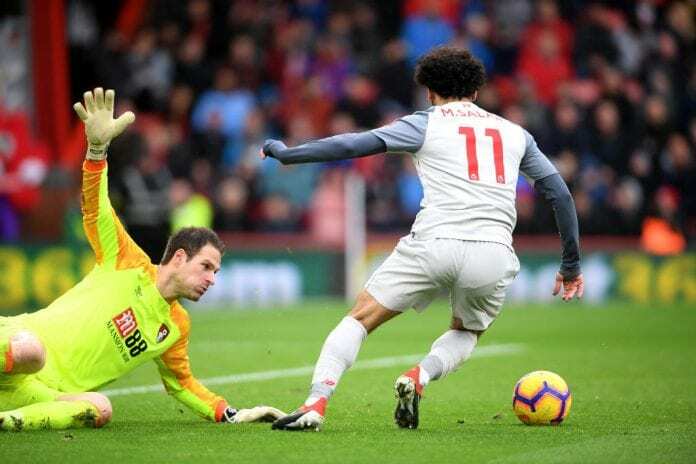 So in a way, Mohamed Salah coming back to his best form is the best news that Jürgen Klopp’s side could’ve gotten because they desperately need him to produce another performance like the one he gave this Saturday against the ‘Cherries’ with that hat-trick. Watching Salah going to work was something that all the fans had been expecting all season, but having him reach his best at this specific time is something to look forward to. Even after the match when he received the MVP Award for this match, Mohamed Salah showed grace and gave it to James Milner who reached 500 Premier League official caps throughout his career. Jürgen Klopp also showed himself especially happy for having one of his best players back to his best form, things are only going to get more entertaining from this moment forward. That quick pace is back, that quick thinking is completely recovered for him, and that clinical finishing which was missing during the first half of the season is also back in full swing. All Salah needs next week is to have another inspired night against one of the toughest defensive lines in Serie A, scoring a few goals against Carlo Ancelotti’s side will complete Mohamed Salah’s return for good and thus we will have a whole new ball game starting in the English Premier League. Because if Liverpool wants to also keep the domestic competitions top spot, they will need Mo at his best during the second half of the season. We are just happy that Salah wasn’t a one-season wonder, he really is a big deal. Which of all three goals was your favorite from Mohamed Salah? Please share your opinion in the comment section down below.